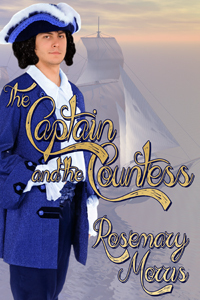 Click on the cover to discover more about The Captain and the Countess. 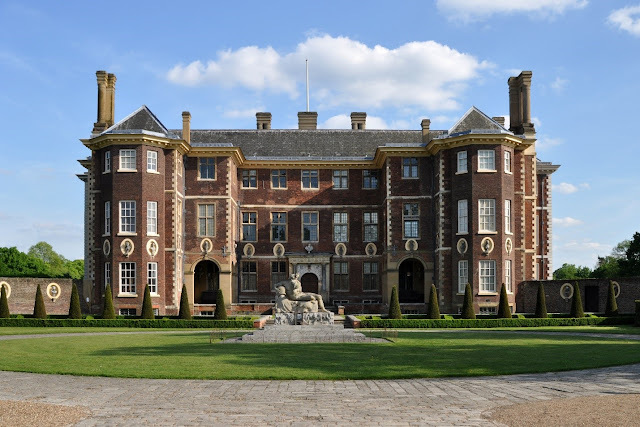 Built in 1610 for Sir Thomas Vavasour, Knight Marshal to James 1st, and subsequently owned by the Duke and Duchess of Lauderdale, Ham House is now owned by the National Trust. During my visit, I imagined the hero, Captain Howard, and the heroine, Kate, Countess of Sinclair, in my novel, The Captain and The Countess, taking the air in the magnificent formal gardens, which stretch down towards the River Thames, and treading the floors of Ham House. I also imagined them in small rooms called closets. 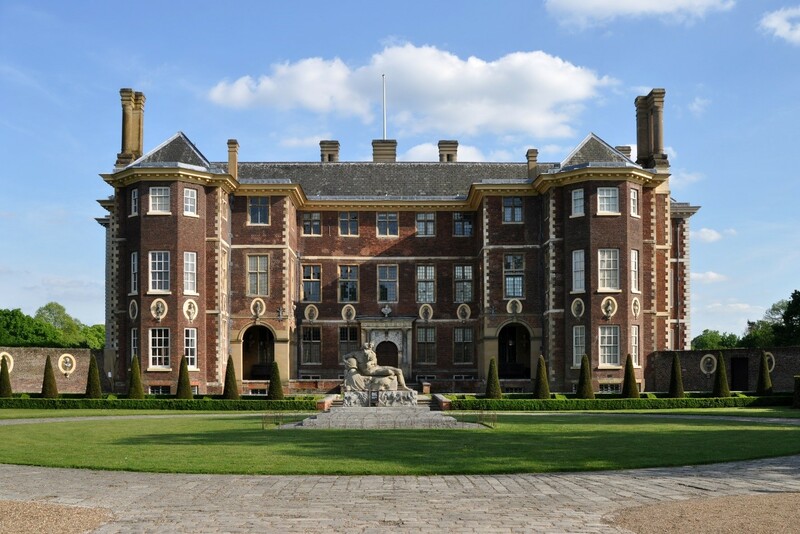 There are six closets at Ham House, which are more intimate than the larger ones such as the North Drawing room. One is ‘The Green Closet’ the walls hung with green damask and furnished with display cabinets that contain exquisite miniatures. Another is ‘The Private Closet’ which contains lacquered furniture, where the Duchess of Lauderdale, who inherited Ham House, kept books, tea and valuables. Kate, Countess of Sinclair, attired in a pretty nightgown, sat by the fireside in her closet, where she kept money and jewelry in a strong box. Before settling down to work, she glanced around the small room crowded with chairs, a desk, sofa, bookshelves, and her sewing basket, the contents of which she occupied herself on rare occasions. With impatient fingers, Kate sorted her correspondence: a sheaf of bills, invitations, begging letters, and other communications. After arranging them in four groups, she rose and placed them on her desk, a pretty piece of red-lacquered furniture from China inlaid with mother of pearl. From the moment Captain Edward Howard lays eyes on Kate, Countess of Sinclair, he realizes he must do everything in his power to make her happy. There’s pain behind Kate’s façade and he’s determined to help her in any way he can. Kate likes Captain Howard immediately, even when he’s forward with her and seems to disregard propriety in search of the truth. The attraction scares her, and she guards her heart against the young Captain’s desire. Her past comes calling and she must choose between what her heart wants and what society expects of her. Will she and Edward have a future or will her past continue to haunt her? This is the first book I’ve read from Morris and I really enjoyed it. Morris is a historian at heart, and it shows in her writing. I kept pinching myself, to make sure I wasn’t in 18th century England. Every detail, from English customs to costume and speech was historically accurate. The dialogue was spot-on, and I found myself caught up in the emotional tension between the characters. If you’re a fan of historical romance (especially Pre-Regency), you’re in for a treat with The Captain and the Countess. The writing style of Rosemary Morris is reminiscent of Edith Wharton (The Age of Innocence) and I look forward to reading more from her. Favorite Character: Kate. I loved everything about her, from the way she carried herself in society to the way she cared for her children to the way she fell in love with Edward. 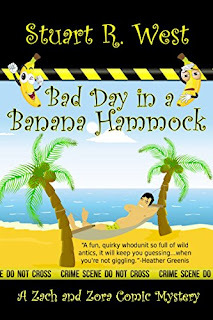 She’s a victim of an abusive husband yet that didn’t stop her from living life to the fullest. A woman after my own heart. There is a gigantic canvas for a historical novelist to choose from. 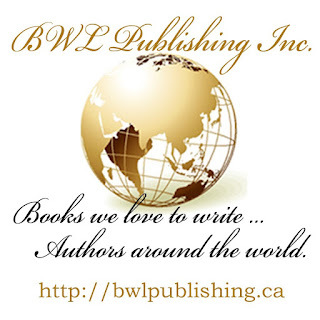 My novels are set in the early 14th century during the reign of Edward II, in that of Charles II’s niece, Queen Anne Stuart, who reigned from 1702 to 1714, and the ever-popular Regency era. I chose those periods because each of them affected the course of history. world. If Edward II had won the Battle of Bannockburn, it is feasible that he would have conquered Scotland and, perhaps he would not have been deposed. Had the Duke of Marlborough lost The War of Spanish Succession, and The Duke of Wellington had been defeated by Napoleon at The Battle of Waterloo, the history of Britain and that of Europe would be different. Defeat would also have had far-reaching consequences for the rest of the world. The more I read about my chosen eras the more fascinated I become, and the more aware of the gulf between the past and present. Those who lived in the past shared the same emotions as we do, but their attitudes and way of life were in many ways very different to ours. One of the most striking examples was the social position of women and children in in bygone ages.